Angeline here to share with you some mid-week inspiration. 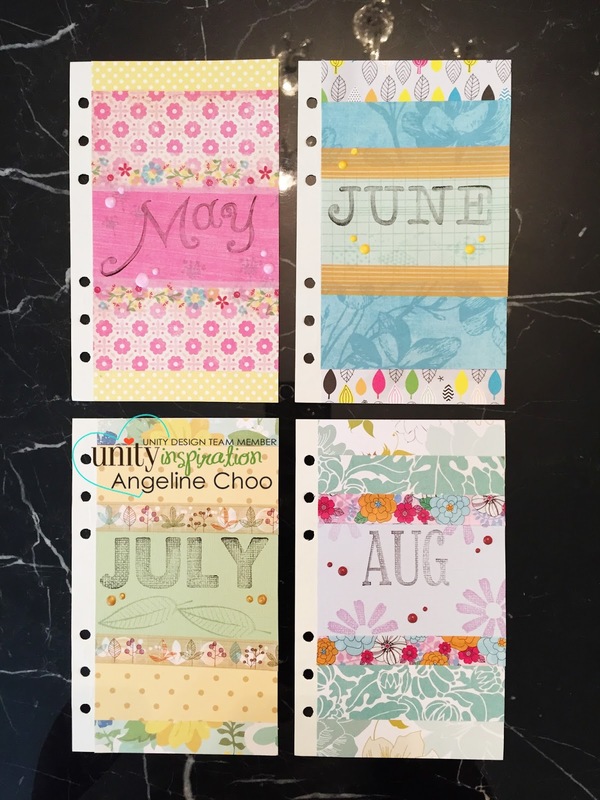 I have a basic planner and it needed some "pretty" in it, so I took out my wonderful yummy Unity stamps and began my planner project. 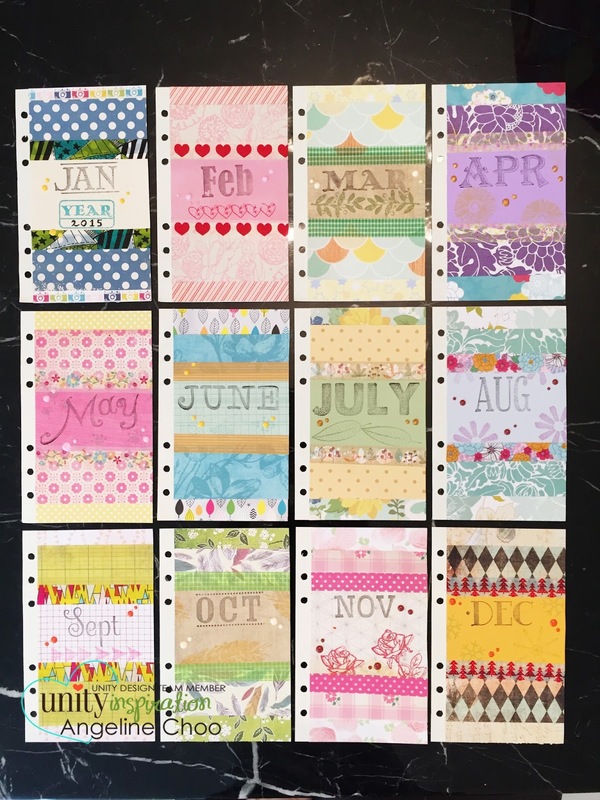 Here's a look of what I made for my Monthly Page planner covers. 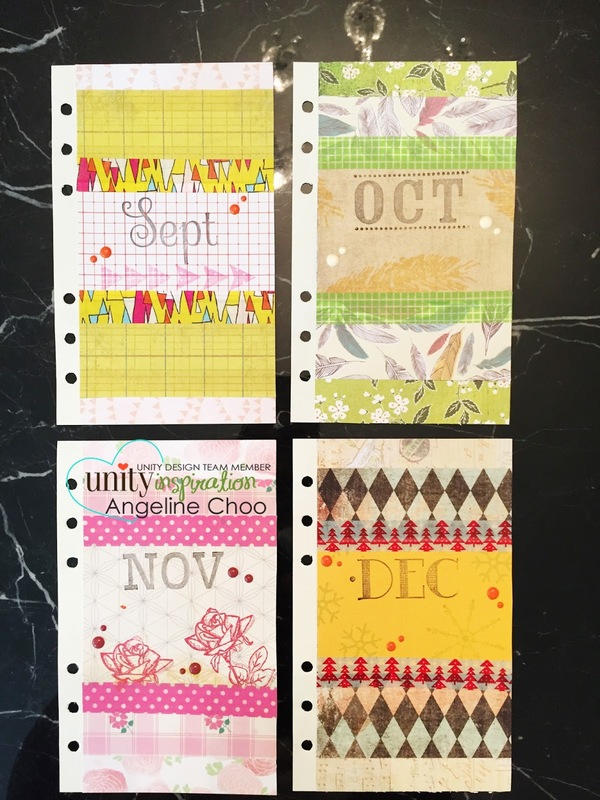 I took lots of scrap papers and washi tapes to decorate the plain pages. Then for the months, I used the "Months become Years" SMAK 9/14. 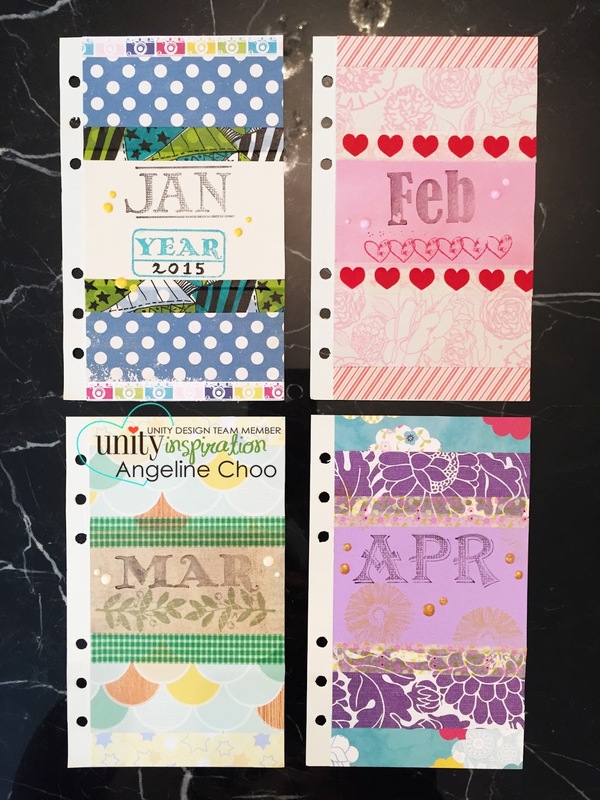 It's perfect for projects like these or if you're making calendars, Project Life and more!! I then took a variety of my Unity stamps to stamp more "pretty" in it :) I also added some enamel dots using the Viva Decor Paper Pens. Here's a close up of each month!